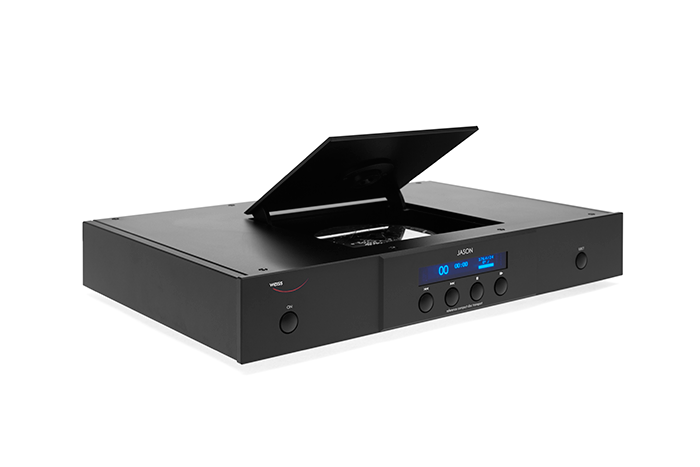 The JASON CD Transport's main goal was to play the music from a CD in the most transparent way possible while at the same time supporting the D/A Converter for optimum playback quality. 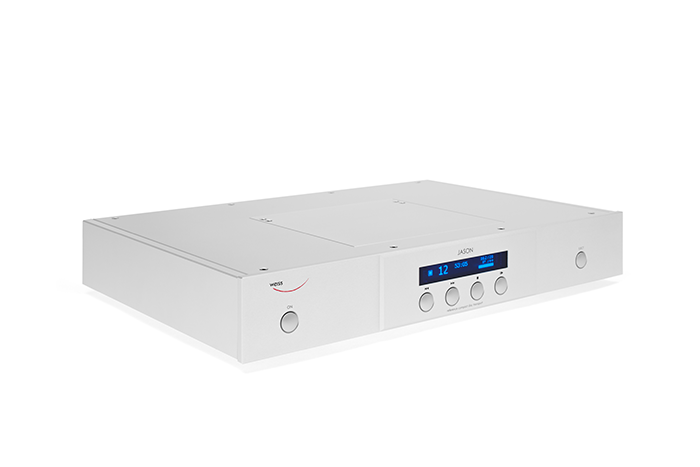 The ultimate MEDUS D/A Converter complements the JASON CD Transport for a truly state of the art CD playback system. 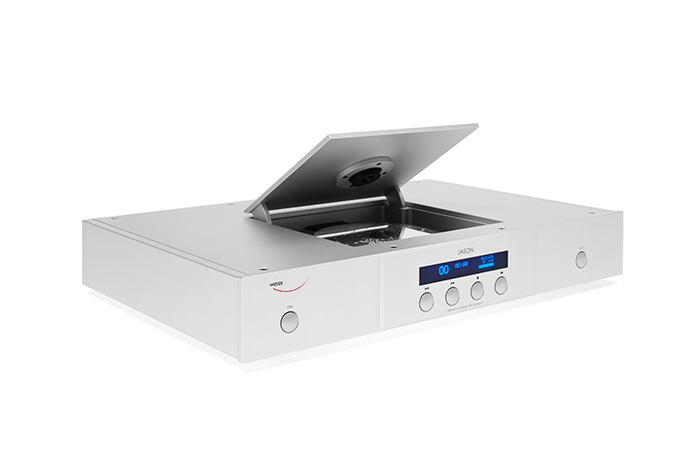 The design and electronics are of the same high quality in both units. 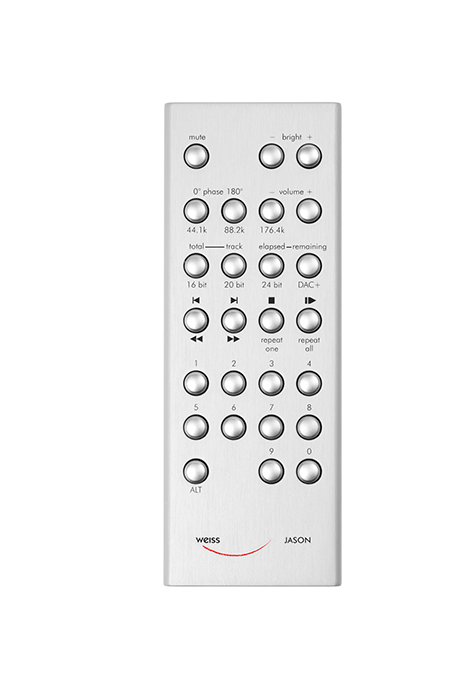 There are many features in the JASON which make it the CD Transport of choice not only in conjunction with the MEDUS but for all kinds of D/A Converters. 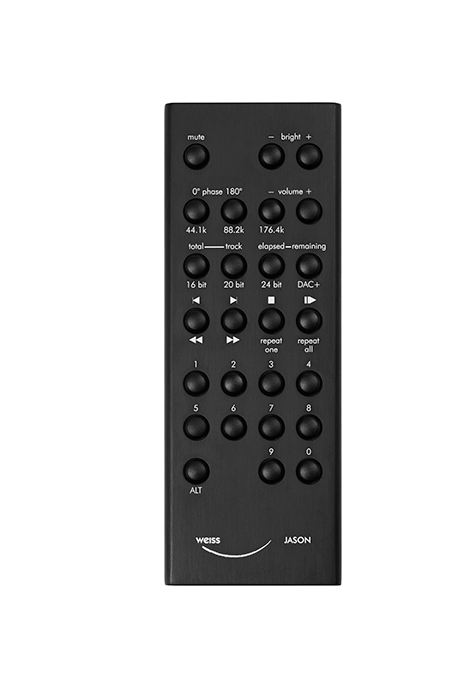 The JASON supports up-sampling of the 44.1 kHz signal to 88.2 kHz or 176.4 kHz. 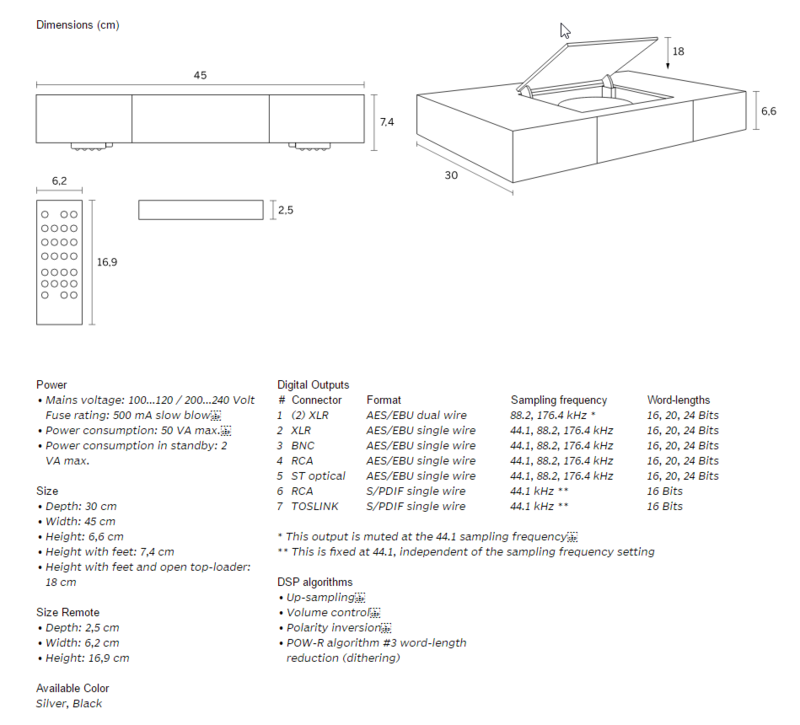 A digital level control via the remove control unit is also built in. 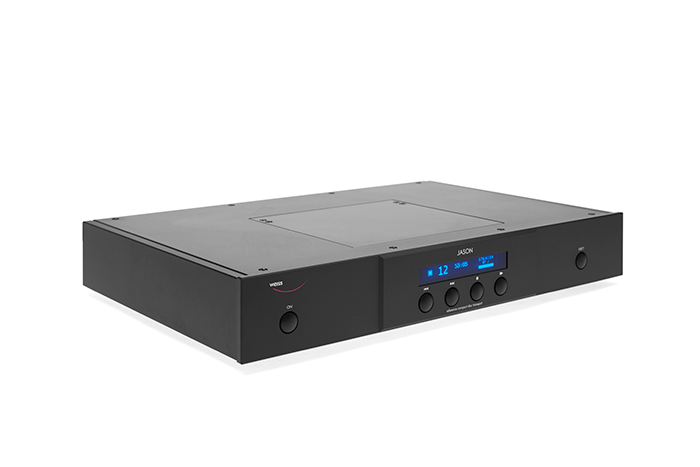 The DAC++ feature can be switched on to optimize the sonic quality with D/A Converters which have a jitter problem and as a consequence may give compromising sonic results. A power cord is needed to operate the JASON CD Transport. The JASON'S motor is made of the same Swiss brand as NASA's Mars mobiles. The inner chassis is made of steel and is an effective electrostatic and electromagnetic radiation shield. The power supply on the JASON is glitch free due to the power switch activating a semiconductor relay which only switches on or off at zero crossings of the main voltage.